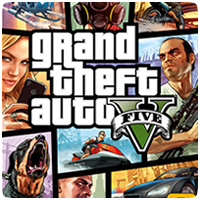 If you can’t wait to get your hands on Gran Theft Auto V when it releases next month, the Rockstar has just the thing for you. Rockstar has created a interactive guide to keep you entertained, while giving you a closer look Los Santos and Blaine County. A number of sections are already available for you to explore, with others opening up soon. There is a lot of information to read up on, including the super cars in the game, the real estate market, shopping, air travel, water sports, the outdoors and more. Check out the Interactive guide here.